Here we will continue our presentation of The Protocols of Satan, which to a large extent will consist of the second part of our presentation of the booklet, The World Jewish Conspiracy, written by Dr. Karl Bergmeister and published in 1938. 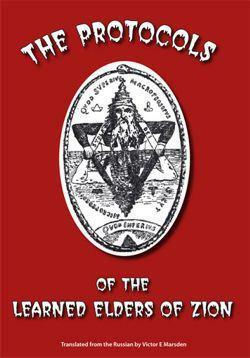 While only history itself, and the actions of so many Jews throughout the last two hundred years of history, can certainly establish the credibility of the so-called “Protocols of the Learned Elders of Zion” as representing the definite plans of World Jewry in the destruction of the Christian nations, we are presenting this booklet as the central part of our objective to demonstrate that the Jewish attempts to label the Protocols as a forgery were in fact fraudulent themselves. 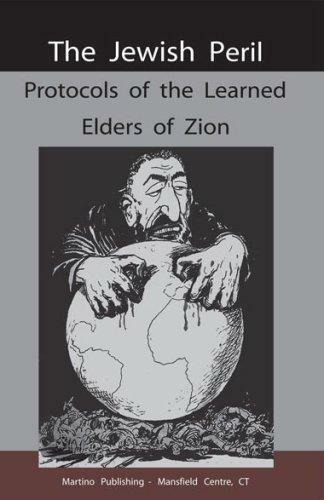 Our source booklet is subtitled “The Protocols of the Elders of Zion before the Court in Berne”, and it was written to show the abuse and miscarriage of justice which resulted as certain nationalist-leaning politicians were using the Protocols against the Jews in elections in Switzerland, and then in 1933 the so-called “Federation of Jewish Communities of Switzerland” and the “Berne Jewish Community” had brought a lawsuit against those politicians in Berne. Obtaining favorable results in what was basically a mockery of a trial, Jews throughout the West, and especially in Britain, France and the United States, then began to even more fervently use the fraudulent evidence produced at Berne to discredit the Protocols as an “antisemitic” forgery. They continued to do this, and they do it to this day, in spite of the fact that the trial is discredited and that its results were overturned, although because the results were overturned for rather innocuous reasons, the treachery of the original trial proceedings was never fully elucidated in the public records. We are going to begin a long and multifaceted series which we are going to call the “Protocols of Satan”, and this is Part 1. The Protocols, so far as we know, have never been presented from our Christian Identity worldview, and we hope to make a thorough presentation in that manner here. However first we are going to have to establish the credibility of the Protocols, because they certainly were not some pro-Aryan conspiracy against Jews, as they are often claimed to be. Rather, they fully reflect the course of a long-running Jewish conspiracy against Aryans, against Christendom, which has with all certainty been carried out against our European races since the Emancipation of the Jews at the time of Napoleon, and even earlier than that. Henry Ford recognized this, and published The International Jew in book form and as a series in his paper, The Dearborn Independent, throughout the early 1920's. However another book by Sergei Alexander Nilus, The Protocols and World Revolution, was translated into English and supposedly, as some sources refute the account, edited by Boris Brasol and published in Boston in 1920 by Maynard, Small & Co. The Nilus book, from its second Russian edition published in 1905, contained a copy of the Protocols, and they were apparently the first version available in English. Boris Brasol is a story in himself. He was a Russian lawyer who prosecuted a blood libel case against Jews in 1912. He was an officer in the Tsar's army during the first great war, and was fortunate to have been sent on a mission to the United States, where he was during the Jewish takeover of Russia in October 1917, and where remained thereafter, remaining a writer for several decades and writing several books against Soviet socialism. In the course of this series, we hope to employ all of these sources and others, as well as many of our own observations of what we shall often call here The Protocols of Satan. Understanding the Protocols is, we believe, especially important today as the Jewish plans for complete Jewish World Supremacy are quickly coming to their absolute and total fulfillment. Understanding the Protocols, we can look at where we are today and see exactly to what extent Christians themselves have and still do cooperate with the Jewish devils who would enslave and destroy them forever. But Yahweh the God of true Christian Israel shall somehow save His people.